Westerham is a very small area in Kent which has a population of just 5000, making it feel very much like a community village. Situated 25 miles south of London, there’s much to see and do outdoors with the North Downs Way and the River Darent coursing through the town centre. Road access is fairly convenient with Westerham situated between the M25 unctions 5 and 6 and just off the A25. If you want to travel by train you’ll need to hotfoot to the nearest station which is located 4 miles away in Oxted. 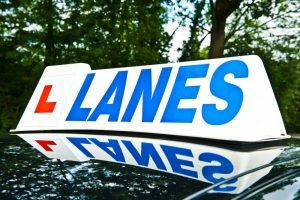 Lanes Driving School has been in existence for over a century, with our instructors spending the last 100 years teaching local residents how to drive. Originally set up in 1914, Lanes has become one of the leading independent UK driving schools with almost 100 cars now available. This extensive experience has helped us provide the high quality service which we pride ourselves on. We understand that squeezing driving lessons into a tight schedule can be difficult at times which is why we offer appointments which are flexible and fit around you. All of our instructors pick up their students from their home address, and drop them back home afterwards, making it as convenient and easy as possible for you. Here at Lanes there’s a variety of different modern vehicles, all of which are equipped with the latest technology. Every student will have their own tailor-made lesson plan and will have the benefit of the undivided lesson of their instructor. At Lanes, you will never have to put up with the distraction of having other students around during your lesson, just another way in which we are unique. All the instructors at Westerham are qualified to the highest possible standard, holding DSA Approved Driving Instructor status. Many of our instructors started out with us, training with Lanes from the very start. This coupled with tens of years of experience on the job means that we have every confidence that our instructors are amongst the best available. The relationship between the instructor and the student is integral to making good progress so we ensure that you’ll have the same instructor for every lesson. This not only helps to create trust but also allows a personalised lesson plan to be developed. 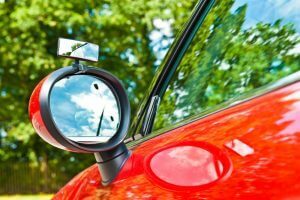 Students can often be quite self conscious while they’re learning to drive due to the proximity of a stranger overseeing their every move. Lanes understand it can be quite a nerve wracking time but all our instructions are trained to be supportive and patient, and to take the lessons at a pace that suits the student. However, some of our female students simply feel more comfortable with a female instructor. If this is the case, we are more than happy to fulfil the request with one of our experienced female driving instructors. To talk to us about female driving instructors in Westerham, give us a call on 020 8166 5678 or contact us by email via our page by clicking here. Whether you’ve tried a manual car before and didn’t like it or simply prefer an easier route, many of our students learn to drive in an automatic car. Although a manual car has some advantages, an automatic is far easier and means there’s no risk of either stalling or jerking the car gears.